Chevron representatives arrived with a handful of cardboard boxes last Wednesday at Ford Elementary School in Richmond. “What do you think is inside the boxes?” asked Abigail Prather, kindergarten teacher. “A little airplane?” one boy guessed. “A shopping cart,” said another. “A cat?” “A cash register?” asked two more. Sitting obediently on their assigned spots on the floor, students were called one by one to take out the puzzles, counting trays and numbered carpet squares. The children cooed and guffawed as they unpacked the Chevron gifts onto the floor. The shipment of math and science oriented gifts is part of Chevron’s Fuel Your School initiative. Chevron is donating $1 to Alameda and Contra Costa County public schools each time someone buys eight or more gallons of gas at a local Chevron or Texaco station in the month of October, according to a press release. Chevron is teaming up with DonorsChoose.org, an online charity that aims to help students in need. This year’s Fuel Your School will generate up to $1 million for education in October, said Chevron spokesperson Melissa Ritchie. Last year the initiative brought in $958,000 for the region, according to a press release. The supplies provided by Chevron gave students a hands-on experience that their regular classroom supplies don’t afford them, said Ford Elementary Principal Barbara Penny-James. “So often we use pencil and paper, but it’s always good to use manipulatives,” said Penny-James, referring to the counting tools provided by Chevron. Beyond the educational tools and toys delivered this Wednesday, additional money from Fuel Your School allowed Prather to purchase a “Let’s Go Shopping Grocery” set that includes a play cash register and play money for her kindergarten students to simulate shopping and paying for their food, said Prather. Prather wasn’t the only teacher to receive supplies. One Ford Elementary teacher received science lab equipment and another received a laptop. Prather’s husband, a third grade teacher at Grant Elementary, received a shipment of tablets. While Fuel Your School helps, Ford teachers and administers still struggle financially. All students at the elementary school receive a free lunch and their families are at or below the poverty level. Even after receiving donations, these kids miss out on some opportunities, Prather said. “I went to Lawrence Hall of Science as a kid, all my own kids went to Lawrence Hall of Science, but I can’t afford to send my students,” Penny-James said. “We have students who have never seen the Golden Gate Bridge because the bus alone costs nearly $800,” Prather said. I celebrate anyone who is trying to help kids learn, but this is just plain ridiculous. 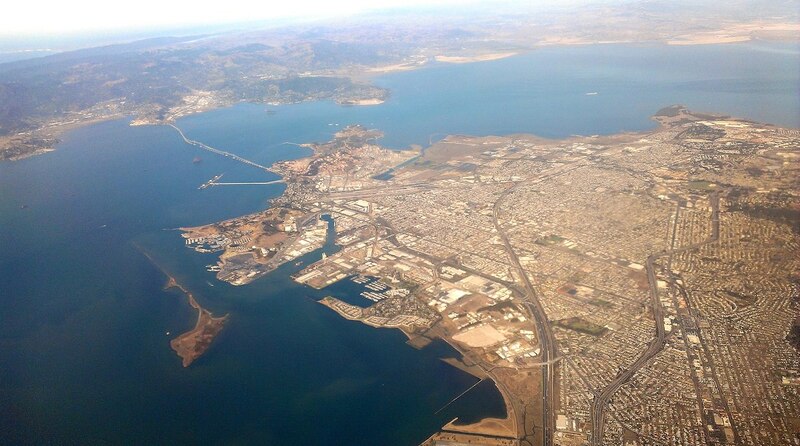 Chevron, responsible for polluting the San Francisco Bay and the people of Richmond, California with horrible chemical refinery releases, is working hard to burnish their image. GET REAL. Do you know how kids suffer from asthma ever day due to the horrible products we endlessly burn? Cough, cough, hack, hack — little kids and their parents learn that lesson early and suffer. Thanks Chevron! You are wonderful!